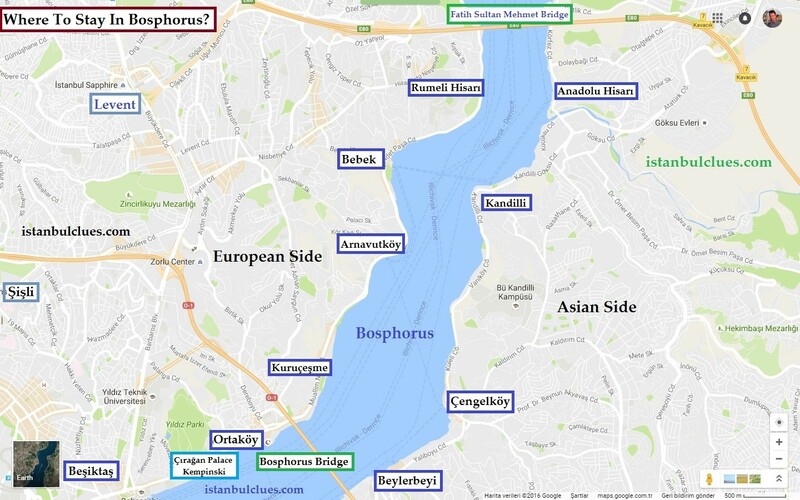 Most of the Bosphorus neighborhoods named as “Köy” which literally means “the village” in Turkish. The Bosphorus villages had only a few inhabitants up until the 19th Century. The Old City (Constantinople) and Galata (Pera) were the major residental areas throughout the Byzantine and Ottoman eras. When Ottoman Sultan left traditional Topkapi Palace in order to live in the modern Dolmabahce Palace, the prominent people of Istanbul started to built their elegant houses by the Bosphorus. Ortakoy literally means “the village in the middle” since it’s centrally located on the European Side of Istanbul. Ortakoy is Istanbul’s meeting place for the weekends. It provides a cozy atmosphere with its trendy boutiques, cafés and restaurants. 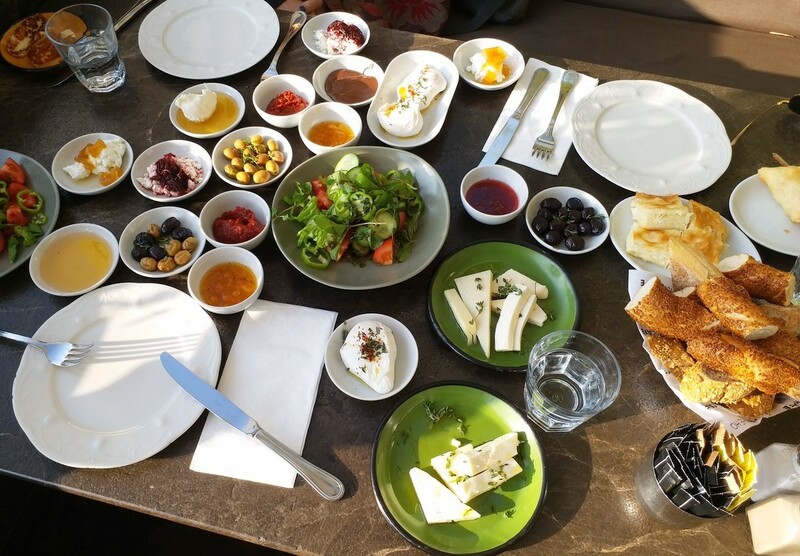 Locals come to Ortakoy to have a breakfast, hang around the square and stroll through its lovely street market. Majority of the folk eat Kumpir (baked jacket potatoes) at lunch before leaving Ortakoy. Istanbul has been a house for Islam, Christianity and Judaism for hundreds of years. 1/3 of the population was non-muslim in the Ottoman period. Ortakoy is a perfect representative of this hybrid culture of Istanbul. Etz Ahayim Synagogue, Ayios Fokas Orthodox Church and Ortakoy Mosque (Büyük Mecidiye Camii) located very near to each other. 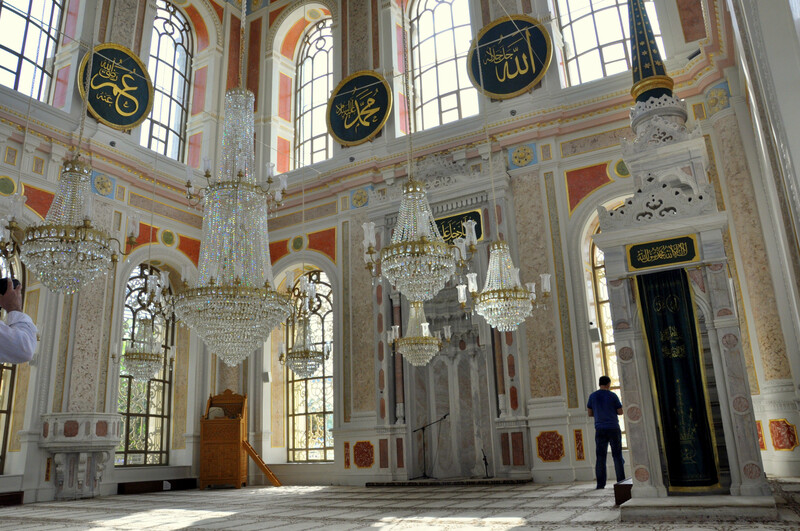 This eclectic Baroque mosque is the work of Ottoman architect Nikoğos Balyan. Nikoğos was a member of a famous Armenian family of chief architects. Balyan family served Ottoman royalty during 19th century and they left their mark on Istanbul. Nikoğos is also known as the designer of majestic Dolmabahce Palace. Some good examples of Turkish calligraphy hanged on the interior walls of Ortakoy Mosque. These handicrafts are made by Sultan Abdülmecid I himself, who was also a talented calligrapher. Ortakoy Mosque is built by Sultan Abdülmecid in 1854. Dedicated to its founder, it’s also known as Buyuk Mecidiye Mosque. 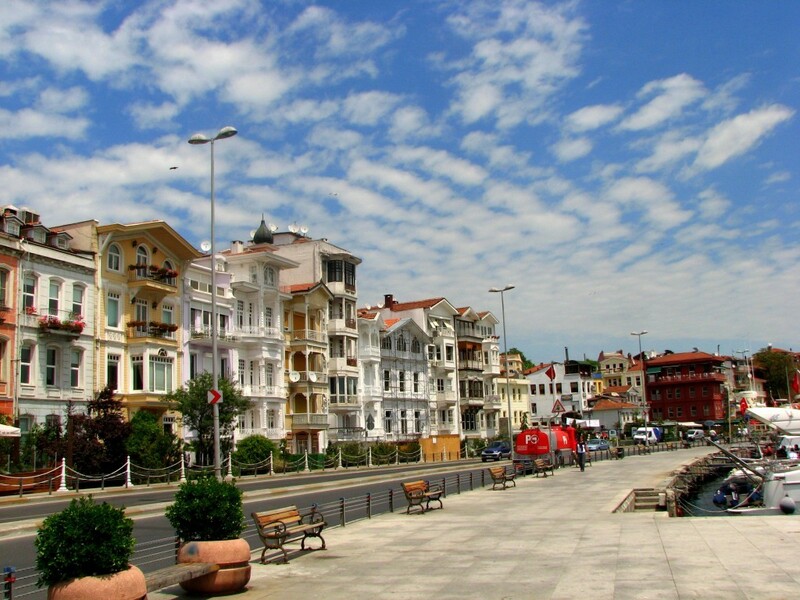 Bosphorus shores are sided with historical Ottoman houses. One of these houses was owned by Esma Sultan, the sister of Mahmud II. Sultan Mahmud II instituted series of reforms during the late Ottoman Empire period. He aimed modernization in the state administration and army. Esma Sultan‘s house is located in the heart of Ortakoy. Unfortunately building is almost destroyed due to a fire. The house has been restorated recently and reinforced with steel and thick glass. 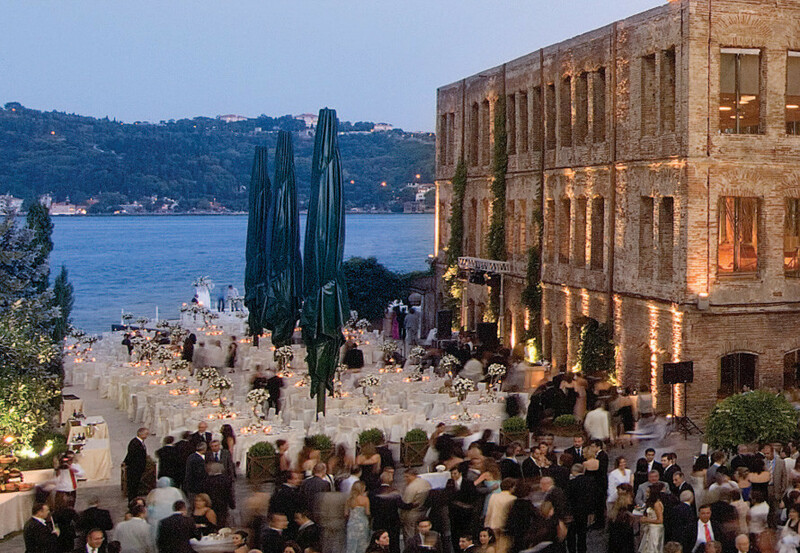 Nowadays, it’s being used as an impressive wedding hall with its great Bosphorus view. Coffeehouses and tea terraces surrounding the Ortakoy Square. Restaurants overlooking to the Bosphorus provides a great view. Among all local restaurants, The House Cafe stands out with its great location. The House Cafe is a waterfront restaurant that is located next to Ortakoy pier. Some Bosphorus boats stop right next to the restaurant, therefore it provides a great scene for your souvenir photos. The path from Ortakoy to Bebek, considered as the most enjoyable walking route of the city. The Ortakoy is a cozy place to hang around, whereas Bebek is a trendy neighborhood with its sophisticated and wealthy residents. Some of Istanbul’s best fish restaurants are located at Bebek. Providing a breath-taking view of Bebek Bay and Bosphorus. I can recommend you Poseidon Restaurant as the best seafood restaurant in Bebek. One of the most popular night clubs in Istanbul, Sortie located in Kurucesme, a neighborhood right between the Ortakoy and Bebek. Where To Stay in Ortakoy? Ortakoy houses two of the most prestigious hotels in Istanbul. 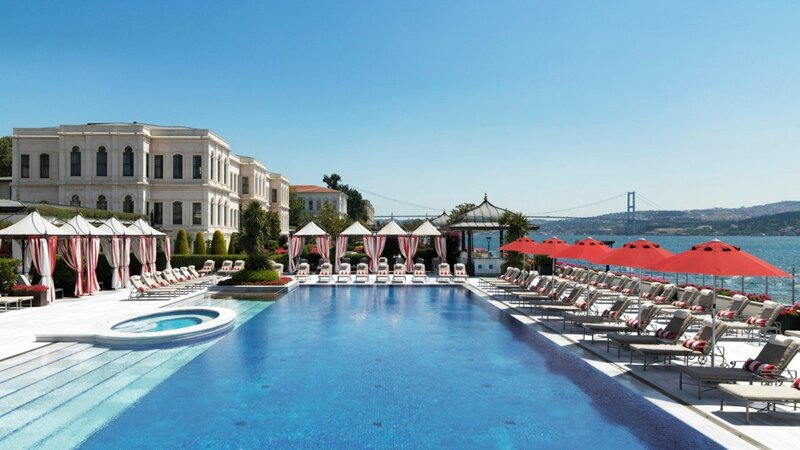 Four Seasons Hotel at the Bosphorus and Ciragan Palace Kempinski Hotel. 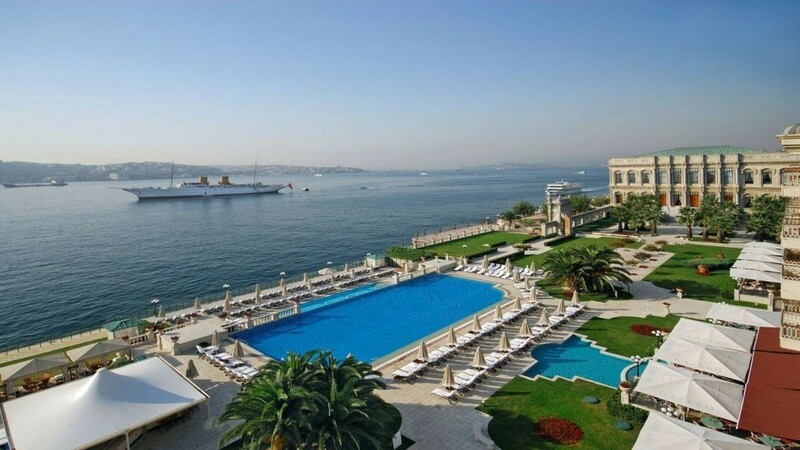 These two hotels are located at the heart of the Bosphorus and provides the best view of Bosphorus. Both hotels are expensive, but even if you would not stay; it’s strongly recommended to have some drinks to enjoy the lovely atmosphere. 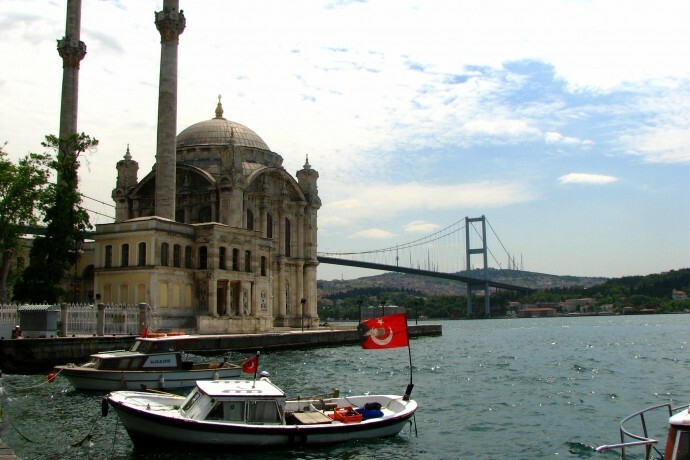 You are also advised to check Hotels in Istanbul with Bosphorus view blog post.